February is Black History month. It is a time for remembrance and reflection for all Americans, but for Historians it is also a rich period for study and research. iTunes U, the academic branch of Apple’s iTunes store, is featuring a vast collection of first-hand oral histories, interviews, and lectures on the extensive history of African Americans. There are over two dozen podcasts and each one offers a unique perspective on black history: “The Louis Armstrong Jazz Oral History Project” explores the world of African American Jazz, The Gilder Lehrman Institute offers a diverse lecture series on the post Civil War age, and Stanford’s “Modern Freedom Struggle” collects videos on political thought during the Civil Rights movement. 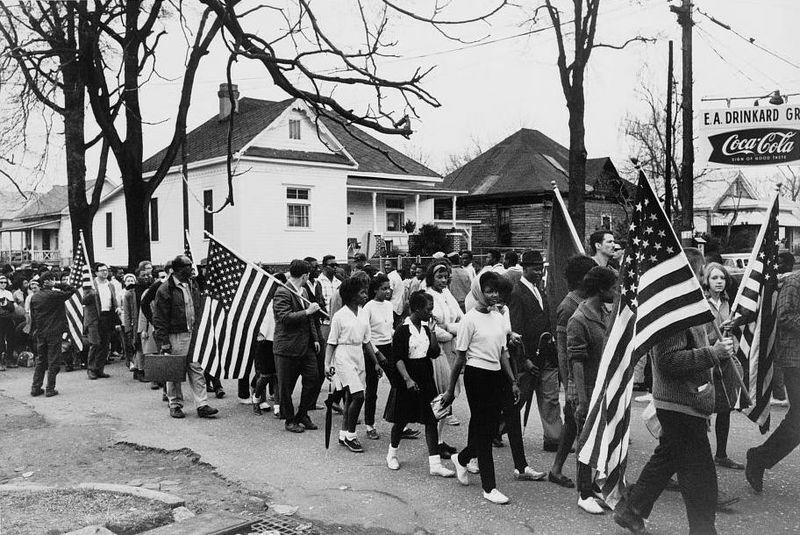 The most powerful, collection is Duke University’s “Behind the Veil,” which compiles 100 interviews with African Americans who experienced firsthand the world of segregation in places like Birmingham, New Orleans, Memphis, Albany (GA), and Muhlenberg County. These interviews are as personal and interesting as they are diverse. All the podcasts are free on iTunes and are well worth perusing. The collection is of value for everyone, from professional historians to amateur history buffs. 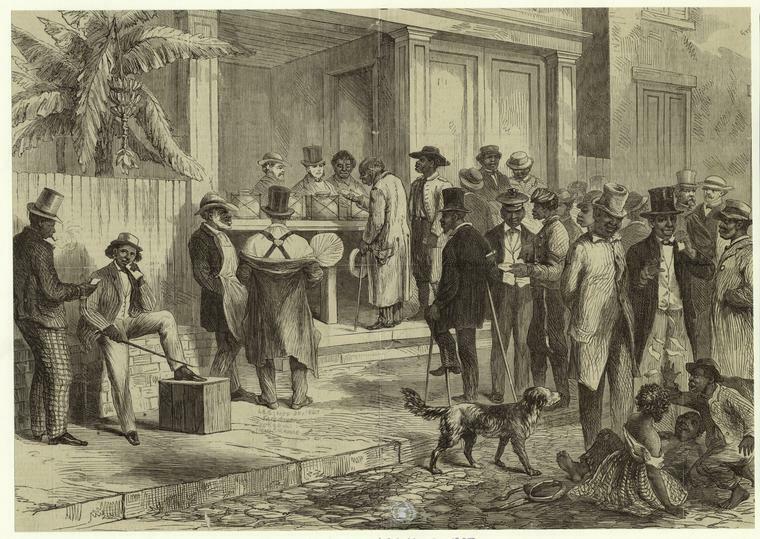 On top of the primary sources, subscribers can hear engaging and thought provoking lectures from renowned scholars like Eric Foner and James O. Horton. 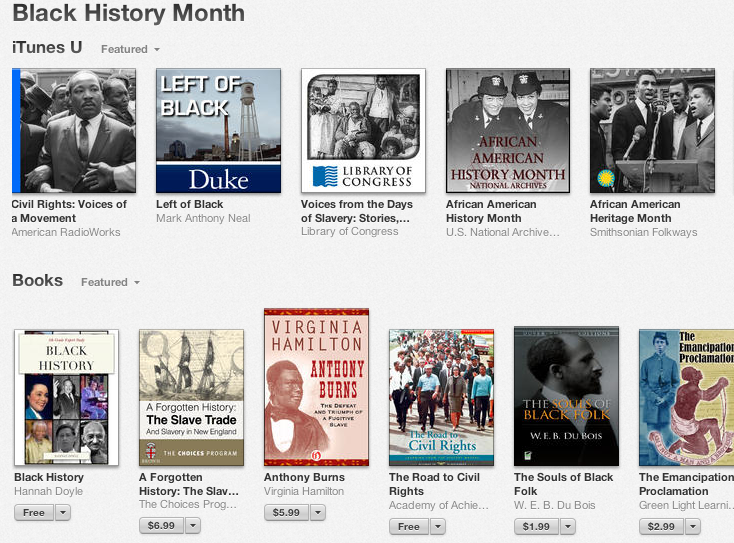 iTunes, is also offering customers a wide selection of outside reading options relating to the topic of Black History, with titles such as The Color Purple, Beloved, Fredrick Douglass’s My Escape from Slavery and Howard Zinn’s On Race. Overall, the collection does a great job of honoring, remembering, and respecting the struggle of African Americans. The podcasts will keep listeners engaged for days and the interviews give historians hours of first-hand accounts.